A few Manchester United players are linked with a move away from Old Trafford this month and one of them is Matteo Darmian. According to Tutto Mercato Web, the Italian international is one step away from moving to Juventus, who are ready to secure him on loan with an option to buy. Another source in the form of Calcio Mercato have also claimed that the Old Lady are close to luring the 29-year-old full-back but to avail the loan option, United would have to renew the player’s current deal. The former Torino defender’s current contract with the Red Devils will expire in June and at the moment, he is earning around £60,000-a-week (The Daily Star). Darmian was signed by United when Louis van Gaal was in charge of the club. Since the departure of the Dutch manager, the Azzurri player has mainly warmed the bench. In the current campaign, he has only started four league games (five appearances) and one FA Cup fixture. He clearly needs to move away from United to get regular game time but moving to Italian champions Juventus should not really help his case. The likes of Cancelo and Sandro are the first choice full-backs at the Serie A club. 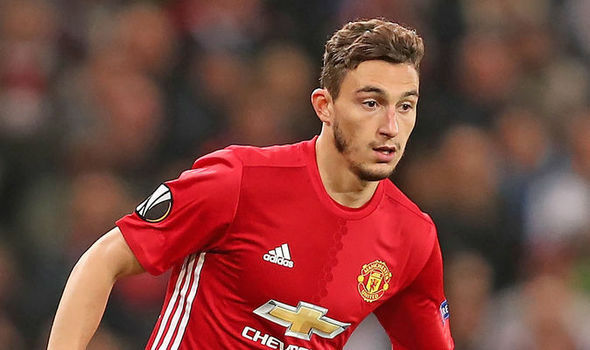 Darmian can effectively play on either side of the defense but he is just not good enough and Man Utd must let him leave before the winter transfer window closes.